The last match of the eight-week Pakistan tour of Australia is played today at Adelaide Oval, Adelaide. Australia has already won the series by winning the first four games against Pakistan. If Pakistan loses, the last game today, they will go back to their country with a whitewash series. Check the links below to watch the Live streaming of Australia vs Pakistan and get Live score updates. The games start at 1:50 PM Australia Central Daylight Time on Thursday, January 26, at Adelaide Oval in Adelaide, South Australia. While 8:20 AM in Pakistan and 8:30 AM in India. Australia has played 97 games against Pakistan Cricket Team. From the 97 games, Australia has won 61 matches and have lost 32 games against Pakistan. However, Pakistan managed to end one game as tie and three concluded as No Result. The last game between Pakistan and Australia ended up with Australia winning by 86 runs. Pakistan Television Corporation will air the live streaming video of Australia vs Pakistan today on PTV for Pakistan Audience. In Australia, Channel Nine will stream the Australia vs. Pakistan ODI series. 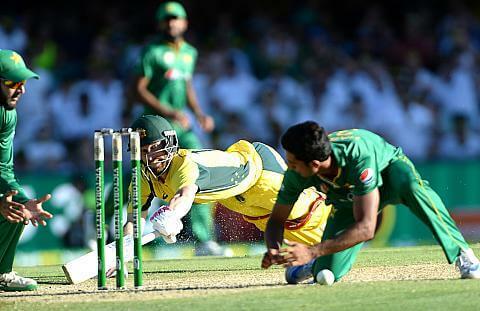 Click the link to watch Australia vs Pakistan (www.9now.com.au). For US Cricket Fans, you can watch the Pakistan vs Australia (PAK vs AUS) with Sling TV Video Stream by paying a subscription fee of $10 per month. Sling TV is available for the Apple iOS, the Android OS, and Amazon Fire OS. In India, you can watch the live Video Streaming from Hotstar Network. Star Sports Select HD 2 will telecast the match live in Pakistan, India, Sri Lanka and Bangladesh. BT Sport in the UK and Willow Sports in the US will broadcast the live match today.